Like most climbers in my area, I use a rope bag to avoid having to reflake the rope after every climb. The downside of this is that the rope gradually aquires twists and after enough climbs, the rope can become twisted enough that it occasionally catchs in the belay device while lead belaying. This is a problem since that can take a few seconds to fix which results in insufficient slack for a moment. The solution is to remove the twists from the rope after every 5-10 climbs. This is easy to do by pulling the whole rope through an anchor after rappelling. The problem is that sometimes I forget to do this and have to deal with the twists while belaying. It is more problematic with a GriGri on a thin rope but can still be an issue with an ATC on a thick rope. Are there any good techniques for dealing with twists while belaying? A method that allowed me to stop the twists from jamming in the belay device while continuing to belay normally would be ideal. If the rope were extremely twisted, I would stop the climber and flake it, but I have never had it get so bad that this was necessary. This is part of rope management. Your situation sounds like a common one where you are belaying a leader from the ground with a rope out of a rope bag that b has not been flaked prior to the climb. Lots of climbers do this all the time. I suggest two things. The first is to monitor how many kinks you run into on a climb and when things start to get problematic, deal with it (i.e., flake the rope) at the end of the climb. The second is to constantly be checking the free end (behind the break decvice) of the rope. As the climber approaches a clipping stance, give the free end a shake and make sure there are no twists (if there are keep shaking the twist down the line). If this happens, you want to stop the climber and try and untwist by flicking the rope out with your non brake hand without releasing the braking strand. You can also try flicking the loops out with your brake hand so long as it stays behind the braking plane. Honestly though, this should be less of a problem since you aren't dealing with munter hitches, and if you flake it out correctly before climbing and remember to get the twists out afterwards, this should be less of a problem. One quick way to deal with twists in a rope if you're single pitching is to switch ends on the rope you're climbing with. When it's your turn to climb, instead of tying into the same end the last climber was on, you can pull their end while they are untying until your end is just off the ground. 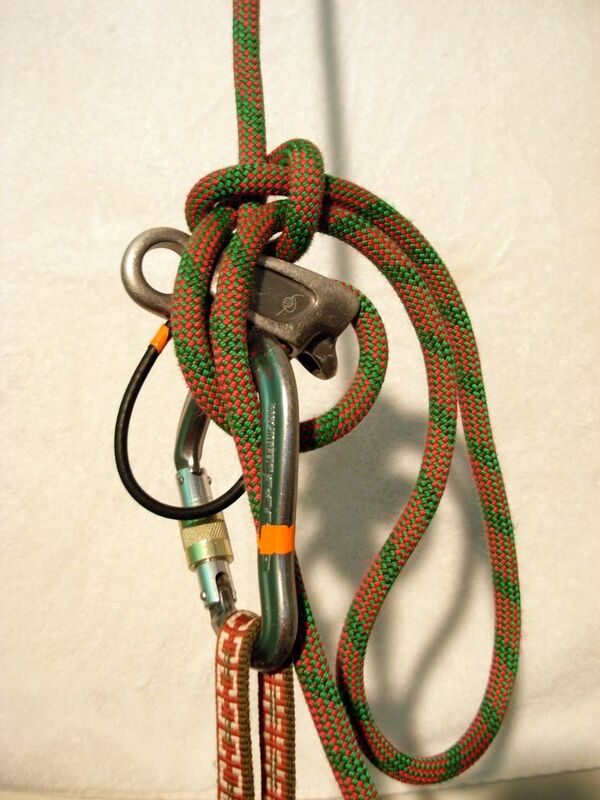 Let the twists out while it's hanging and then tie into the end you were just belaying with. Alternately, you need to flake out the rope between pitches, or figure out how to flake your rope while belaying. Rope management is an important skill to learn when you want to be more efficient while multi pitching and trad climbing, especially when you start double roping or twin roping. If you forget, or neglect to flake out the rope before a climb, then it is advisable to communicate to your climber to stop climbing, tie off the belay, and then flake out the rope beside you. Not the answer you're looking for? Browse other questions tagged rock-climbing belaying rope-management or ask your own question.